Kitchen Need Inspiration? 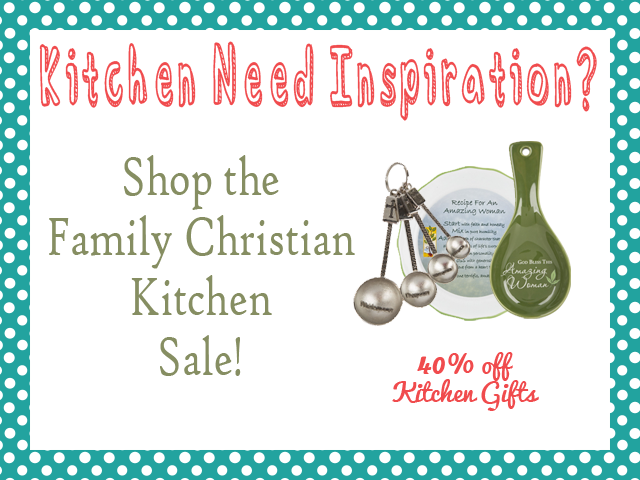 Shop the Family Christian Kitchen Sale! A huge thanks to Family Christian for sponsoring today's post. All thoughts and opinions are my own. I love decorating. I'm always looking for fun ways to make my house feel more like a home. Perhaps my absolute favorite room to decorate is my kitchen. You see, throughout the rest of the house, I try to take into consideration my family's taste. I keep it simple, comforting...not too feminine. My kitchen on the other hand...that's free reign. It is all about me, and what I like...vintage bowls, brights colors, fun aprons, cookbooks...more than any other room, the kitchen has always reflected my personality and tastes. 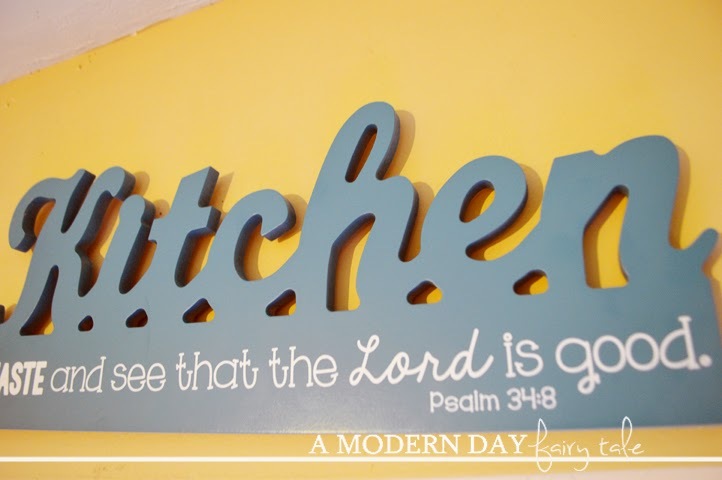 If you took a look throughout the rest of my house, you'll see another decorating trend I have...in nearly every room there is at least one piece of decor featuring a favorite scripture or words of inspiration. I love having these daily reminders to see each day as I go on about my housework. Naturally, the kitchen should be no different. These are already a great price at their regular cost, but today I'm excited to share with you an amazing deal... from December 5 through December 24, select kitchen items are 40% off! What a deal! Of course, I'm pretty partial to the retro look but this is only one style available. If your kitchen needs a little makeover, there has never been a better time! Start shopping now! 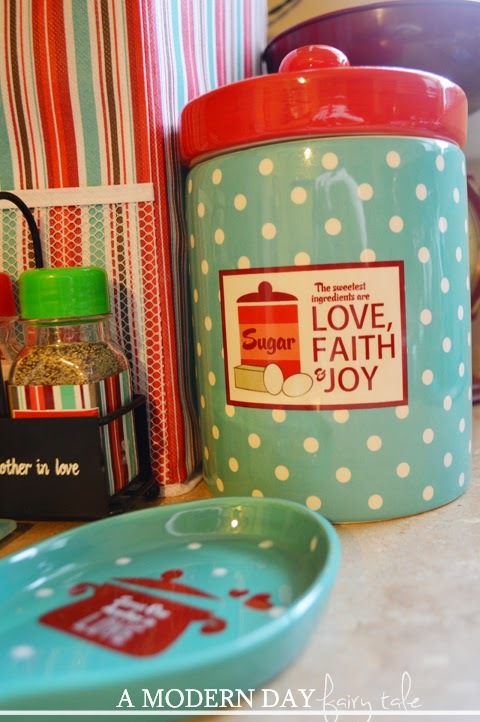 What kitchen items from Family Christian are on YOUR wishlist? I love all the spatula's with cute/clever phrases on them. Those measuring cups are so cute and clever! The spatulas with the saying on them are the cutest ever! I love the colors! 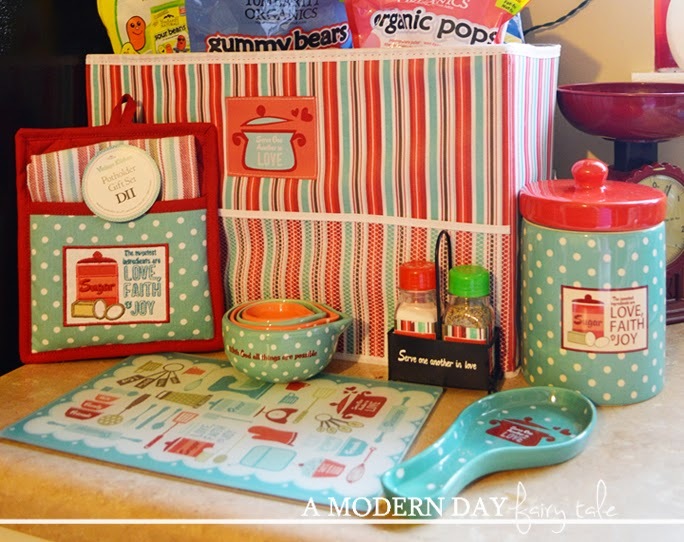 I could really use the storage organizer and they also have a really nice looking cutting board I could use. Wow. It looks like they have some really awesome products. I love all the different colors. Very cute ideas! It'd also be pretty cool to have verse numbers written on the bottom of various items (like the salt shakers). Thanks for sharing! I like the measuring spoons! I like the crosses on them! i never knew they had inspirational kitchen items!!! This is so nice, I'm glad to find it. It would be great to give these as gifts, and to get a couple things for home!